Click on the cover to find out more and check out the eBook and Printed Book editions. The motivations of wars are not what they seem these days. The arsenal of democracy, established to out-weapon manufacture the Axis Alliance of Adolf Hitler in the Second World War had not the usual outcome when a war ends. Usually hostilities simply bring an end to the weaponization of economies. They return to civilian product production. The Cold War (1948-1989) changed all that, with its imminent potential and perpetual military threat pitting the Communist Bloc of the Soviet Union and the so-called “Free World” Bloc of the United States facing each other in a Mexican mutually-assured destructive standoff. In Cold War terms, America and its NATO allies were pointing their missiles at the Warsaw Pact, the USSR and Red China who in turn were pointing back. No body moves, hombre! Nobody retreats and nobody dares fire a shot or all go down together. The difference in this standoff is that every year each party was handed more and more weapons making it even more impossible to budge unless Fate could distract all parties from their frozen, deadly intention. War led to peace in 1945, and fostered a new and Orwellian doublespeak reality: war as peace—a Cold War to keep “the peace” between the American eagle and the Russian bear. The two would built peace oriented and military industrial oriented economies. However, the Soviets, because of their socialist command economics, could not profit from their war industry like the free market-oriented American economy that would successfully sustain a post-World War industry, making its middle class and corporations fabulously Cold-War wealthy. The war industry became a war containment perpetuating business—an economic supersystem separate from other peaceful industries. The Soviet Union was eventually defeated because it couldn’t keep up financially with the burden of an armaments race. That wasn’t good news for the Western Military Industrial Complex. Victory used to be highest achievement and glory of war, it now signaled financial catastrophe. 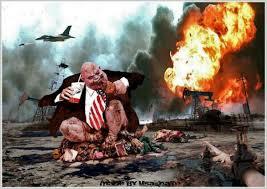 If decades-long wars of containment of a bogey man enemy or ideology ends in peace, we can’t make a filthy rich profit. So, the military industrial complex that won the Cold War in 1989 has been ever seeking to create a new Soviet Union, or a new existential threat, like a “War on Terror” with an open ended shelf life. The first business model for the war on terror tried to turn Usama bin Laden and al-Qaeda into the new “Enemy” requiring 30 years or more to contain and degrade. President George W. Bush said as much only days after the 9-11 attacks. His ambiguously open-ended and grammatically lame title for it, “The War on Terror,” was only a few days old when he boldly predicted it would last over 30 years. This was not a fact but propagation by a platoon of Daddy Warbucks types, the Neoconservatives, crowding his cabinet and surrounding this weak leader and doing most of the thinking and the scheming for him. The Cold War against the Soviets was rebranded into a new global market covering those nations from the northwestern corner of Africa stretching east across the Middle East and Central Asia, all the way to Indonesia that include nations where Islam is the majority religion and Muslims the majority population. From containing the Red Bolshevik flag the West conspired to arm friends and allies in the Muslim world to contain the black flags of Jihad. The first War on Terror cold war business model was gradually bunged up by a few unilateral US invasions turned into quagmires by Bush in Afghanistan and Iraq added to Obama’s lead-from-his-“lead-bottomed”-behind efforts that destroyed Libya and currently works hard at destroying what’s left standing of Syria and the Sunni third of Iraq. Faced with bad for business withdrawals from Iraq and Afghanistan, corporate interests tried to solve the problem doing what unimaginative CEOs usually do: stage a remake. 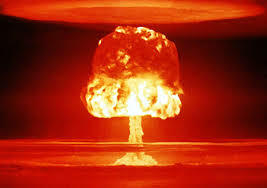 If Hollywood moguls can keep making big bucks doing remakes of blockbuster movies why not remake that Hydrogen-bomb-buster, the standoff between Russia and the West? So in the spring of 2014 a “new” cold war was launched over the Civil War in Ukraine. 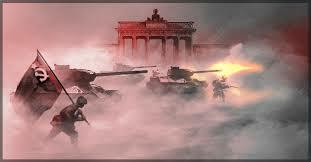 Time to contain the Russian Federation, demonize it by painting a false idea. Red flag it as the return of the hammer-and-sickle wielding Soviet Union if you only scratch the Tricolor white-blue and red Russian flag colors off the surface of a new Russia. 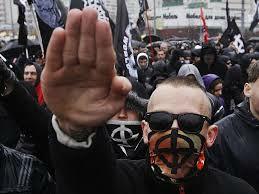 Make Putin the new Hitler. Damn the details and the facts—bad for the war business. If you can pull off getting Western leaders into a new Russia containment policy, think of the decades of war profiteering that will follow, rearming NATO forces, militarily containing Russia’s partner, the not-so-commie Red China turned Red Capitalist China, and so on. This time around, Putin and Moscow weren’t playing along. Putin doesn’t do Mexican Standoffs. He avoided repeating Stalin’s mistake of getting into one with the West. Putin’s a black belt in Judo, and it would be good for Washington, Brussels and their military industrial complexes to study how a Judo master uses the superior strength of adversaries against themselves. So, back to Cold War Square one the war marketers went by the summer of 2014 and another stab at the “War on Terror” model. Fortunately, there was some return on an old, targeted investment. Years of good war profiting earned by degrading and scattering what had been al-Qaeda in Iraq during the US occupation wars had given birth to something more onerous and dangerous—a boni fide bogeyman organization: ISIS. Even better! Unlike al-Qaeda, they’re into nation building just like the West. So, you two for the price of one: a terrorist organization “and” an Islamic State trying to spread its ideology and hegemony just like the Soviet Union once tried. You don’t want to crush this perfect-for-war-profit monster; you want the old cold war model to become a lingering and Cold Armageddon in the Middle East, rewarding the war business with decades of containment and imminent threat. Think of it like how some cynical business people make a buck in the Sickness Industrial Complex, AKA, medicine and Big Pharma industries with their Medical Insurance allies. You don’t want to move too fast and actually CURE cancer anymore than you want to completely irradiate ISIS and the social, religious and economic causes of it. You do want to cut it down to size but not cut it completely out of the writhing body of the suffering Middle East. So you do as Obama seems to have been told by his own Neocon handlers to do, you aim to “degrade” ISIS over a long period of time. I would add: stretch it out for a VERY long time. Time enough to make insane profits rebuilding the Iraqi Army, and modernizing the Saudi and other Gulf State forces with outrageously profitable armaments packages, so they can “contain” ISIS while you fly your token air attacks over Islamic State from June 2014 until the present day. But there goes Russia again, messing with our business model. They’re actually helping the one armed force, other than the far smaller Kurdish army, actually fighting ISIS nose to nose, bloody boots on the ground, win their wars. The Russian Air Force now coordinates its attacks with Syrian Army units to do more harm to ISIS since late September than a whole year of US air strikes couldn’t—and actually, I contend, weren’t wanting to—achieve. Case in point, the act that led recently to a Russian bomber being shot by an air-to-air missile fired from Turkish jets stationed in their own airspace. The Russian jet had returned, following the regular route it’s been following for months, just a few kilometers inside Syrian airspace. Indeed, the Russian’s regularly gave the US every detail about the flight path and time of passage for these jets with the intention of avoiding any mishaps or friendly fire incidents. The US in turn shared that information with all NATO allies flying and bombing Syrian and Iraqi ISIS targets in their token air campaign. Turkey is a member of NATO. They got the Intel. 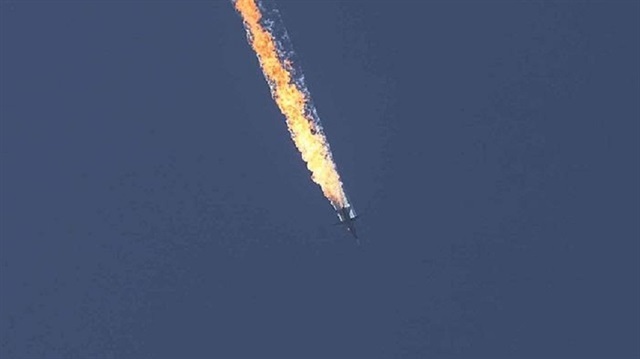 In short, Ankara knew the Russian jet would be there and they shot it down—here’s why. 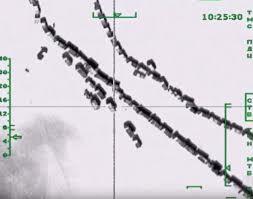 Russian Air Force photographs of the ISIS oil tanker columns passing into Turkey. For over a year the US air force never showed us “their” photos. Why? Russian airmen did something the US and NATO airmen flying over Syria have watched and done nothing about since their “degrading” campaign began in June 2014. They’ve spent more than a year passing over the Syrian deserts along the porous Turkish frontier where great metal snakes of ISIS oil truck convoys by the thousands, filled to the bursting with black-market oil, wind their way out of ISIS occupied oil fields of Iraq and Syria, driving across the border into Turkey. 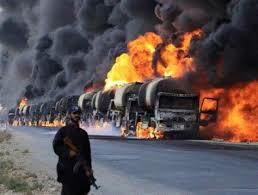 Ankara buy’s this ill-gotten oil at half the price and pays the ISIS oilers in US paper cash. The Islamic State is a country but it doesn’t have its own currency minted just yet, it uses US dollars—paper that can’t be tracked—and it literally buys allegiance from its subjected citizenry paying those who work for the Islamic State in US money from bootlegged oil, stolen antiquities and fees paid for releasing multitudes of hostages. The subjugated populations in Syria and Iraq have no other way to make a living that pays for room, board and food for their families. ISIS is the only business in town and they even generously pay Sunni militiamen to become ISIS warriors in US dollars. This is how you defeat ISIS. Destroy their black market oil business. “Go after the oil,” as Trump rightly said. 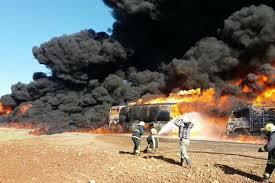 So, if Mr. Obama really wanted to “degrade” ISIS, he would have started, back in June 2014, what the Russians did just a few months into their air campaign: descend from the skies firing on those oil trucks and torching them by the thousands. 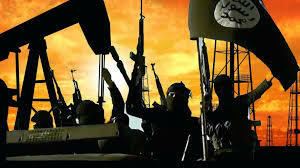 This is another moment when, love him or hate him, Donald Trump, who may end up the Republican Party nominee to become the next US president, got it right: To defeat ISIS you go after the oil interests. You cut off the money that keeps the Islamic State in existence. Click on the cover and get on the announcement list. Anyone, like the Russians, who sincerely want to use their military might to end wars and restore peace understands that the paper US dollar is the Achilles heel of ISIS. 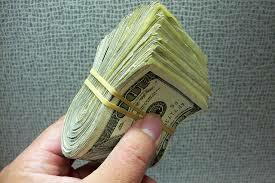 Take the payment away, and ISIS becomes merely a paper tiger in the desert. It will lose its terror-economic monopoly on its oppressed populations. Towards that goal, of actually WINNING and ENDING a war in Syria is just what Putin is interested in achieving. He is busting the big war business balls in the process and the Western and Turkish war Mafias making a human and monetary “killing” are not amused. That Russian two-man crew in the SU-24 bomber were most likely returning from a strafe-and-bombing run flaming out oil tankers en route to Turkey. The Russian aircrew did their regular return flight to Latakia base hugging the Syrian frontier with Turkey. The Turks knew it because the Russians provided the information informing them as they dutifully did all NATO participants in their fight against ISIS. 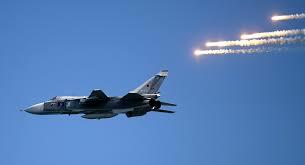 The Turkish command ordered their pilots to fire on the bomber from the safety of their own airspace, shooting it down. The flight navigator survived and was rescued but the Russian pilot was shot to ribbons—on camera—as his parachute descended near a gang of so-called “moderate” US and Turkish supported Islamists. The film identifies them playing with their kill and celebrating his death. 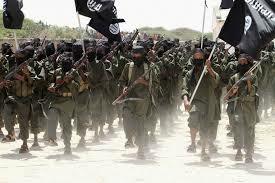 The Islamist jargon they used, and the uniforms identify them as al-Nusra (al-Qaeda) affiliates. There once was a time when you Americans lost nearly 3,000 people to al-Qaeda and any thought that we’d arm and train such thugs was beyond belief. Well now, get this: your war industry does just that. The Russian air force is messing up with your military industrial complex’s business model and Turkey’s highly profitable black market business with ISIS, without which this terror state could not keep terrorizing the world. Peace is bad for business, and that rare military that actually fights for peace, rather than perpetuates war, was scheduled for a mafia-style hit as a lesson the stoic Russians have fortunately not learned. Fortunate for peace someday coming to the Middle East. At least one nation fighting there really knows how to “degrade” that cancer and it ain’t the US military or its puppet President Obama. All of the following newsworthy events: the Russian jet shot down by a NATO ally over Syria, something not dared since the Cold War; a hunt for the Paris shooters; and, the San Bernardino jihad John and Jane—a couple of nuts, married and dangerous—massacring 14 and wounding 21 innocent people in the first direct ISIS attack on the US homeland. These are stories that capture our attention as November shifted to December, yet a far more significant future-trend setting event went nearly unnoticed by the US media, or it was given short shrift reporting. They apparently overlooked or did not want you to know about a course-changing historic milestone that will shift the center of human endeavors from being western-centric to an Asian, multi-lateral centric world. This decision by the IMF will set in motion monetary reforms in Beijing that will make the yuan “freely tradable.” It will then pass in large extent into becoming what I’ve been forecasting for years, happening sometime in the window of 2015-2016: the yuan, and its tributary the Renminbi will establish itself as a global reserve currency to rival the hegemony of the US dollar. As Ferguson rightly reports, the Chinese are signaling in 2009 and I would add they will loudly signal in 2010, loud enough for perhaps the deaf ears of the mainstream US media to hear it, their desire to substitute the dollar for a form of International Monetary Fund Special Drawing Rights, or even request a return to the gold standard. In 2014, the centennial anniversary year of the First World War, China will remove capital controls and unleash upon the world their own freely convertible international currency. Not a shot by military hand will be fired, but the oncoming economic breakup could lead to an ugly divorce in the guise of a Sino-US war by the 2020s. An attitude quite cynical in nature will color the oncoming decade’s diplomatic and economic negotiations. Friendship sold for profit, an era of frenemy-ship between the top two superpowers. They can’t survive without the other, for their fortunes remain entwined in a “can’t live with China, can’t live without America” embrace for at least another four to five years. If human values are less important than monetary recovery the next question to ask the oracle is, “Will this new love-hate economic bi-polar world lead to an end to the Great Recession? If our economic woes were simply a problem of economic policy, the recession would end when the Chinese float their currency in world markets at its true value. So, if we ignore all factors outside of economics, then the answer is “yes.” The recession could end depending on revaluing of the Renminbi in 2016. The first quote written over six years ago is on-track for fulfillment. 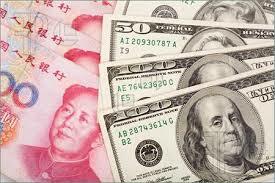 Economies started seriously purchasing and selling in Chinese yuan in 2014. The second quote was written five years ago. It gives us an intriguing estimate of when the Chinese currency would make its reserve-status move against the US dollar. The IMF has started to process rolling “five years” after I wrote it, and the status would be 100-percent engaged in October 2015—“six years” after I wrote the above. 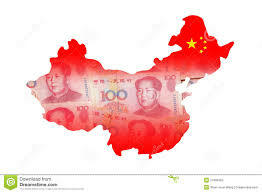 The best news for China in 2013, is that the new generation in power will, taken together, show its sure hand in moving forward long-term economic goals to further prepare the Renminbi as a reserve currency by mid-decade. They will succeed in their stealthy rush to collect a huge gold reserve to back the Renminbi if the global fiat economy based on the US Dollar as a world reserve should falter, as I believe it inevitably will by mid-decade or a little after. Mid-decade is 2015, a little after, 2016? The country poised to hoard one of the largest reserves in this gold rush is China. The USA holds 8,000 tons, Germany 3,000, yet China is on a spree in this Gold “arms race” in either producing or collecting 4,000 to 6,000 tons. Chinese mines are the number one producer of new gold ingots in the world. My oracle forecasts China intending by 2014 or early 2015 at the latest to launch its own answer to the US dollar as a global reserve currency, the Renminbi, basing its value on a new Gold Standard. China will directly compete with Chinese Yuan and Renminbi against the petrol-dollar, staking a challenge that its currency is the best alternative petrol currency. This could greatly affect the future of US involvement with Israel in Middle Eastern wars currently waged in 2013 (Syria) and those in the planning stage set for mid decade against Iran, which happens to be a major petrol exporter to the Chinese. The strategic influence of China in 2016 and onwards will be behind the scenes, behind the bank vault. 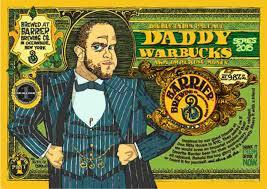 Follow the petrol tender that once was the dominion of the all-mighty dollar. The winds shift East in 2016. Read more about it by clicking on Predictions 2016. 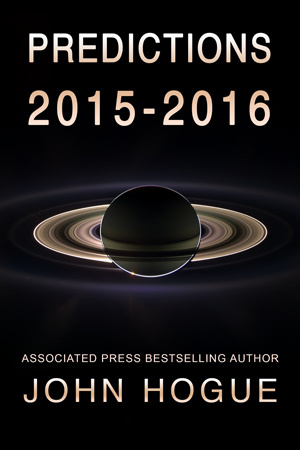 Also, get on the list for a private announcement when my book Trump for President: Astrological Predictions will be released and soon. Join the list by clicking on The Donald. 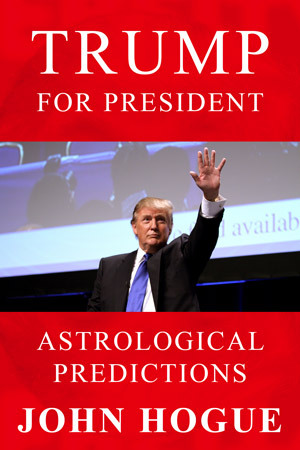 I started that book back in September thinking it would be a quick read of Trump’s astrological long shot at becoming president. 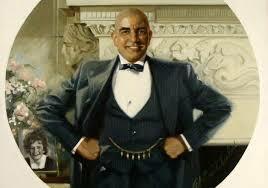 Now that I’ve journeyed deeply into this Gemini man, I have discovered many Trumps to encounter and forecast. A book that began as a 12,000-word eBooklet is now a medium-sized and meaty 45,000 words! When I finish this flood of articles today, I’ll return to its final edit. What I’m seeing evolve is one of the most unique books I’ve ever produced. It just might shock and enlighten people on all sides of opinion about Trump. Love or hate him, this book is guaranteed to stir all of you up and hopefully make all of us think and question more. Will the Paris Climate Change Talks Lead to CO2 Laws with Teeth, or will Countries go on sucking Fossil Fueled sustenance from Corporations with “Teat”? 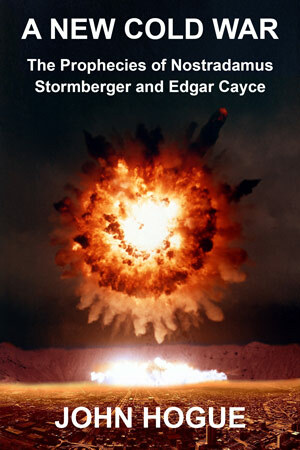 Click on the cover and see the ebook and NEW PRINTED EDITION. As I write this the Parisian streets have had their bloodstains washed and their bullet-riddled bistros mended in preparation to wine and dine a less subtle “terror” attack than the ISIS inspired massacres late last November. The terror is Copenhagen Accord stupidity, basing whatever binding international laws in these Paris Accords to reduce CO2 emissions that are based on an arbitrary “appeasement” of the climate change danger. At Copenhagen in December 2009, global leaders met and without possessing any clear climate-science or expertise council, these idiot politicians decided that laws reducing fossil fuel pollution, slowing warming to a limit of two-degree Celsius, is achievable by 2030. The Industrial Revolution has increased the average global mean temperature by 0.8 degrees Celsius since the 1950s alone. The world is already imperiled with superstorms, tornadoes, and massive and lingering central continental droughts. It was globally warmed crop failures and droughts that are turning California, the breadbasket of the world, into a desert and triggered the worst conflicts in the Middle East and the rise of ISIS. Here’s the back cover of the printed edition. See the full size illustration by clicking on the back cover. Now then, do I think [United Nations Climate Change Conference in Paris] will get serious this time? The answer: the governments of countries flying in their pampered public figures “richly” on the public fund to gay Paris are already vying to censure suggested solutions of the 2014 UN’s Intergovernmental Panel on Climate Change. Watch out for further political correction of hard and truthful science in the abridged overviews presented in Paris so that the worst polluters smell more like roses than smog. 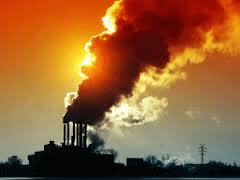 Some editing of the evidence was successfully demanded by the United States, Brazil, China and Saudi Arabia. Whole paragraphs and charts had been expunged from the IPCC’s initial summary presented at the Berlin conference in 2014 so that a gelding of an I’m-OK-you’re-OK, feel good about global warming overview, without truth’s teeth, will be the basis for establishing legally binding laws at Paris that will limit warming to two-degrees Celsius. Just two degrees. Sounds reasonable. There’s only one problem, the limit accepts more than DOUBLING current levels of greenhouse gas pumped into our atmosphere by 1.2-degrees Celsius. It is a threshold set forth by the Copenhagen Accord (December 2009) that has fulfilled my Oracle’s predictions logged back on 1 November 2009 that world leaders meeting there would play British Prime Minister Chamberlain and French President Daladier with climate change. They would be like the appeasers who went to Munich and made a pact with Adolf Hitler to prevent war by buckling to all of his demands. These included the dismemberment of Czechoslovakia, giving its German Sudetenland provinces over to the Third Reich in 1938. 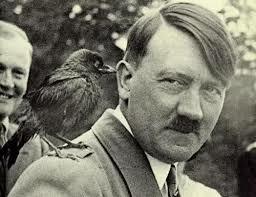 Early the following year Hitler gobbled up the rest of it. 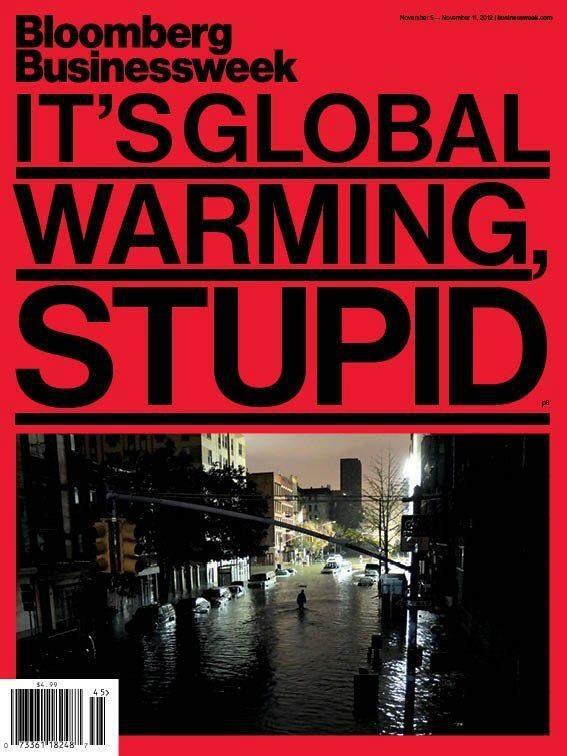 Mayor Michael Bloomberg of New York City and Governor Cuomo of New York State, both became converts to Hurricane Sandy being a symptom of Global Warming, and declared as much to the nation in press conferences in the aftermath of what me go down as the most expensive natural disaster in history. By agreeing to a two-degree Celsius limit, Xi, Obama, Merkel and the other leaders appeased big fossil fuel interests and have already condemned low-lying island nations like The Maldives, and over a hundred million people in low-lying coastal nations like Bangladesh, to dismemberment by rising oceans. Countries in the West Saharan Sahel region will succumb to nation-extinguishing droughts. Click on the cover and check out the eBook and New Printed Editions. 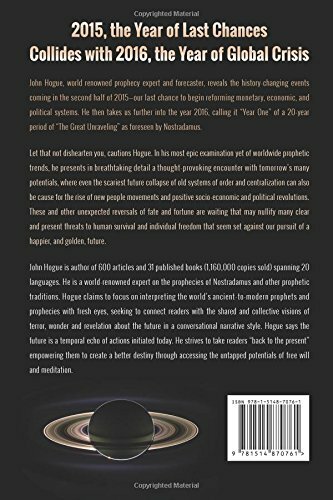 Given what I’ve just written in the above articles, it’s never been more important than now to study and understand the Final Warning prophecies of the Hopi Native Americans of the Southwestern United States. 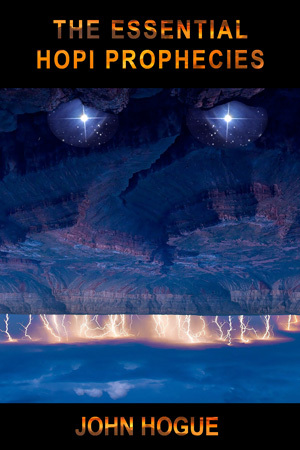 The Hopi view is that we have entered the days of their “Great Purification” by fire; moreover, the general tenor of their visions is an approaching ecological disaster sounds like the “fire” the Hopi are talking about is a planetary-wide, runaway global warming. This future doesn’t need to happen. 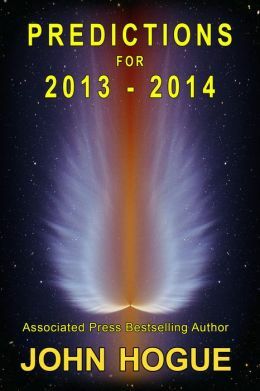 Read this book and understand how a fire of consciousness is also implied as the antidote. One of the final Hopi Warnings: the white man will criss-cross the sky with cobwebs. 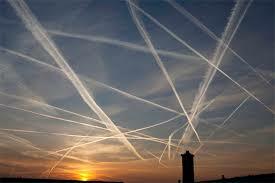 These are the contrails of the white man’s jets. 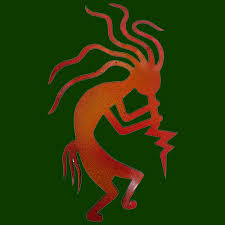 Stand a Hopi drinking gourd on its neck and it becomes a three-D metaphor for an atomic mushroom cloud! 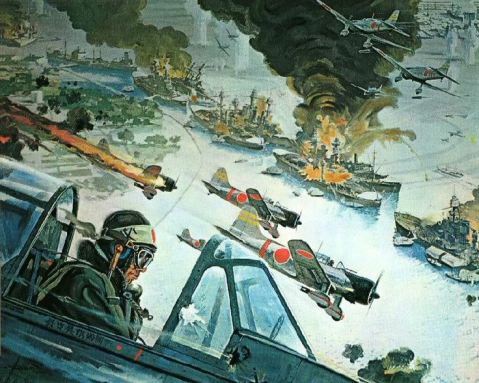 Today is the 70th anniversary of the Japanese attack on the US Naval and Army bases on Pearl Harbor that brought the United States into the Second World War. Since it is a significant event, many of you ask if Nostradamus directly or indirectly foresaw it. 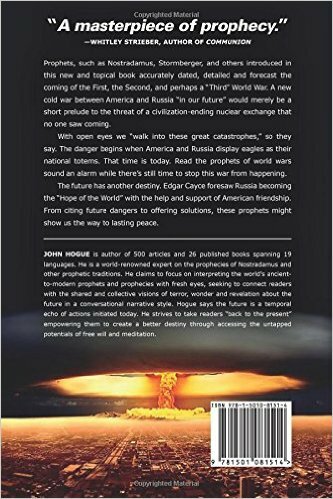 The observations and my interpretations, published for Nostradamus: The Complete Prophecies in 1997, might see it only as a background detail to the greater vision of the Second World War. Helas! ƒi Dieu n’enuoye paix en terre. Alas! If God does not send peace to the Earth. The straightforwardness of the language in this quatrain makes it suspect as a forgery. Nonethelesss, it is a plea worth heeding, especially in our own times. It is an invitation for all individuals to break out of the mob psychology and slip out from under the influence of their shepherds — the political and religious leaders. For me, this prophecy is a universal call for a spiritual rebellion against the mind-set implanted and sustained down through history: to toe the line and not think for ourselves. Individuals who are independent and integrated, do not make good subjects, docile-and-dumb-citizens, or slaves of our leaders. Can’t Nostradamus, or his forger, see the obvious problem with this supplication? Can they not see that surrendering their responsibility to someone else, whether a Messiah or a Führer, only sinks them deeper into the mess Earth has become? Perhaps God doesn’t answer our prayers because we are his hands, his eyes, his heart. Mais ne pourront pour cette heure aƒsister. This could be a continuation of the World War II theme of the previous duplicate quatrain. Leoni applies it to the United States, prior to its entry into the war, shipping military equipment to the British in their Lend-Lease program (help…from all coasts). 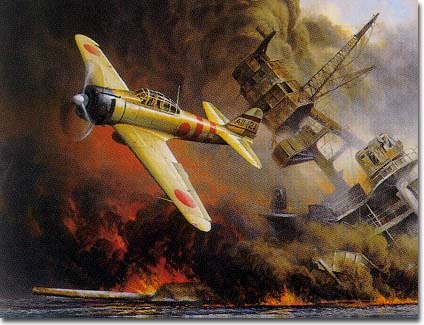 The Japanese attack on Pearl Harbor suddenly hurry the Americans into the global conflict, but they were unable to openly assist the British in what Winston Churchill called “their finest hour,” the Battle of Britain, in which the might of the German Luftwaffe was defeated by a few hundred British fighter pilots. Port demoly nef à fons iour ƒerain. Port demolished ship to the bottom, day serene. Too many seaports have been devastated in the past four centuries to conjure up a specific case in this verse. Take your pick from the most recent hell-raisings– from the brass gates of Catherine the Great’s gutted winter palace near the harbor of Leningrad to the three devastations of Sevastopol in 1856, 1942 and 1944; or even pass your way through the strafed and bombed port of Pearl Harbor in 1941. In the Adriatic (Italy, Yugoslavia and Greece) there will be great discord, and that which was united will be split apart, to a house will be reduced that which formerly was, and is, a great city, including England and France in (the year) ‘45 and other (broken unions) of ‘41, ‘42 and ‘37. 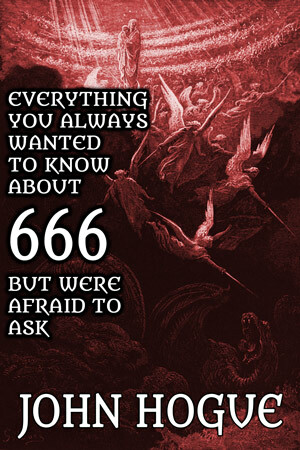 And at this time and in those countries an infernal power will employ against the Church of Jesus Christ, the power of its adversaries (against) the (holy) law, which will be the second Antichrist, who will persecute that Church and its true Vicar, by means of the power of temporal Kings who in their ignorance will be seduced by tongues which will cut more sharply than any sword (if placed) in the hands of madmen. Many unions and treaties were split apart on or near these dates: In 1936 the Treaty of Versailles was broken by the Nazi occupation of the Rhineland, and in 1938 by the occupation of Austria: Full-scale war broke out between China and Japan in 1937; the Nazi usurpation of Czechoslovakia broke the Munich Pact of 1938; the British saw their alliance with the French split asunder with the defeat of France in 1940. 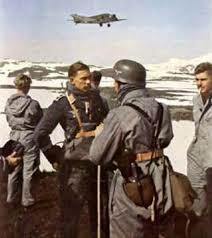 The next union to crumble through Hitler’s invasion of Russia in 1941, was the notorious Soviet-Nazi Non-Aggression Pact. 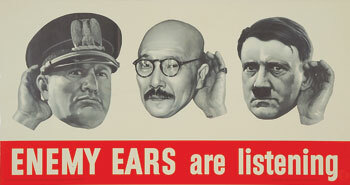 Long-standing trade agreements between Japan and America were broken in 1941 when the Japanese attack on Pearl Harbor. The Second Antichrist’s union of Japan, Italy, and Germany was finally destroyed with the total defeat of the Axis alliance in 1945. The Vatican’s location in the heartland of the Axis alliance did pose an unusual set of problems for the Catholic Church. Pope Pius XI and later Pius XII had to walk a tightrope: they were activists for the rights of Catholics persecuted by the Nazis, who were at the same time surrounded by the infernal power of the Second Antichrist’s his chief ally, Mussolini. It is believed that Pius XII was in some measure sympathetic to the Nazis. The pope made the controversial decision to abandon defending the rights of one set of Catholics, the Poles, to save another set of Catholics who represented half the population of Germany. The devices of evil applied by the Second Antichrist, Hiƒter, are described. The first is persecution of the Holy Church, by means of temporal kings (secular leaders); the second uses the powers of the Second Antichrist himself to persuade the Axis masses. 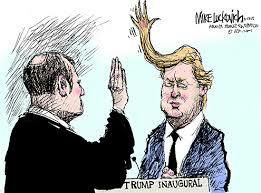 With the sharp tongue of propaganda, he cuts down resistance to his will far better than any other weapon could have done. 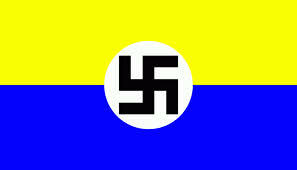 Hitler skillfully mixed truths with lies into a seduction. His powers of persuasion were compelling the German people could not break his spell until this madman lay dead and burning in a gasoline bath in a shallow pit surrounded by the smoldering ruins of Berlin. I got this letter the other day and I want to share it with you all. I liked very much your writing on Consciousness and the New Man. I wonder what is your take in the reason of the existence of the Jewish people and its history. Have you research the teachings of the Kaballah? Hi Melitta. Sorry I didn’t pick up on your request until now. I’m glad you like my take on consciousness and the new man. I’m inspired by Osho’s meditations to write about these themes. Many have wondered why the Jewish people exist. For me, the most important reason is for providing a virtue that I embrace in my life: the gift of humor born from tragedy. To me, that is the Jewish people’s greatest gift to us all. Along with humanity’s greatest comedians, I thank the Jewish people for all the great minds, artists, musicians, psychologists (many of my fondest lovers!) 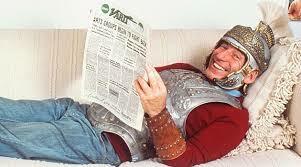 and last but not least—Mel Brooks! As for the Kaballah, it is the true and earliest source of Jewish mysticism. Much of what is considered Judaism today actually comes from the Persians. The Persian Emperor Cyrus helped the Hebrews rebuild their kingdom after he conquered the Babylonians and released the Hebrews from their captivity. In the process of rebuilding, the Hebrews adopted many Persian religious ideas and traditions into their religion. Kaballah, however, is pure Jewish mysticism. The Tree of Life is the heart of it. 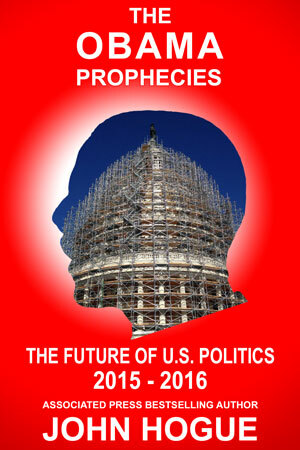 Click on the cover and enjoy a meeting of humor and prophetic hubris–Bible style. This entry was posted in Predictions for 2016 and tagged 2 degrees Celsius, Afghanistan, al-Nusra, al-Qaeda, antichrist, Barack Obama, Black market oil, bogeyman, Bush, Chimerican, China, Chosen People, climate change, Co2 emissions, cold war, Copenhagen Accords, Daddy Warbucks, Daesh, DAIISH, December 7 1941, Divine comedian, droughts, Emperor Cyrus, Epistle, Epistle to Henri II, Erdrogan, G.W. Bush, German-Soviet Non-Aggresson Treaty, global warming, GOP, Great Purification, Great Recession, Hebrews, Hitler, Hogue, Hopi, Hopi Indians, Hopi Native Americans, Hopi predictions, Hopi prophecies, IMF, Iran, Iraq, ISIL, ISIS, Islamic State, Israel, John Hogue, Kaballah, Lend-Lease, Mel Brooks, Mexican standoff, Middle East, NATO, Neoconservatives, New Cold War, Nostradamus, Nostradamus: The Complete Prophecies, Obama, Oraibi, Orwellian, Osama bin Laden, Osho, Paris Climate talks 2015, Pearl Harbor 700-year anniversary, Pearl Harbor attack, prediction, prophecy, prophet, Putin, Qaballah, Renminbi, researve currency, Russian bomber shot down, Second Antichrist, Second Antichrist Hitler, Second World War, SU-24, Superstorms, Third Antichrist, Turkey, Turkish black oil market, USSR, war on terror, Whitley Strieber, Yuan. Bookmark the permalink. Post a comment or leave a trackback: Trackback URL. John, you stated above: So, if Mr. Obama really wanted to “degrade” ISIS, he would have started, back in June 2014, what the Russians did just a few months into their air campaign: descend from the skies firing on those oil trucks and torching them by the thousands. I do not believe he ever intended to defeat ISIS, in fact, as has come out all over the internet, the U.S. Powers were working with Turkey to fundd and supply ISDIS with weapons and steal oil form Syria just to make huge profits. And now Obama wants to bring huge numbers of Muslims into this country. As I saw on Yahoo I feel Obama really is a secret Muslim and wants to bring the U.S under Sharia Law. I do not have good feelings about the future, and being an unorthodox person I worry about my future in this country. Like I said in the article. The US military industrial complex needs to perpetuate war. Obama is a convert to that view.